The Pro3 Treadmill is a club owner's dream machine. Its unmatched durability makes it the energizer-bunny of treadmills - it just keeps on going after many of our competitors' machines have stopped. The low, clean style of the Pro3 looks great in the gym and the low step-up is less intimidating for the new exerciser. 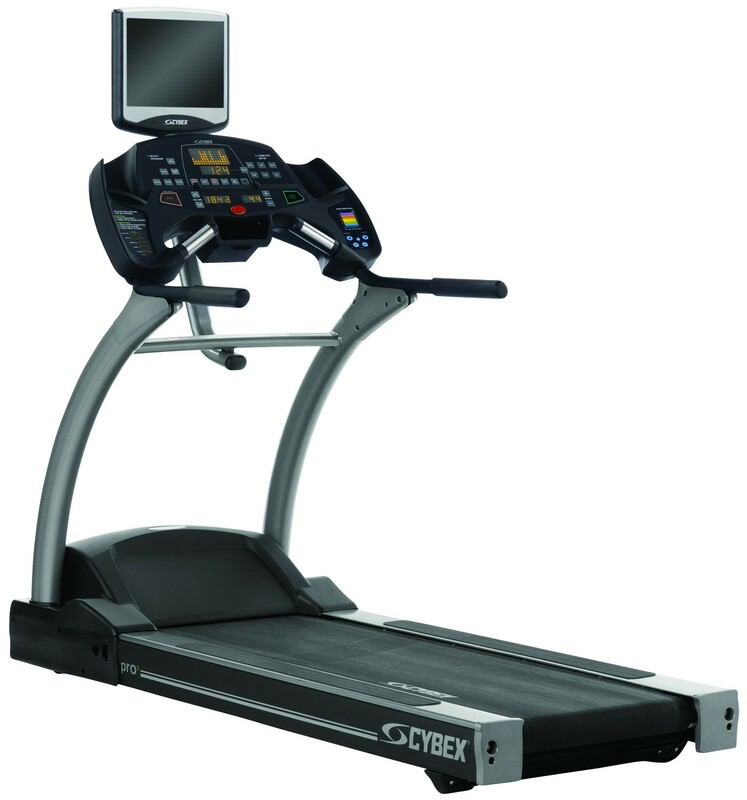 With plenty of programs to satisfy the serious runner, the CYBEX Pro3 Treadmill is simple to operate for even the occasional user. And programs can be changed on the fly so there's no starting over if you want to raise or lower the intensity of the workout. Users appreciate the convenience features of the dual water bottle holders, utility tray, and Quick Start. LOW PROFILE COMMERCIAL WORKHORSE The Pro3 Treadmill is a club owner's dream machine. Its unmatched durability makes it the energizer-bunny of treadmills - it just keeps on going after many of our competitors' machines have stopped. The low, clean style of the Pro3 looks great in the gym and the low step-up is less intimidating for the new exerciser. With plenty of programs to satisfy the serious runner, the CYBEX Pro3 Treadmill is simple to operate for even the occasional user. And programs can be changed on the fly so there's no starting over if you want to raise or lower the intensity of the workout. Users appreciate the convenience features of the dual water bottle holders, utility tray, and Quick Start.